Living room painting "The Drift"
210x80x2cm An original in acrylic colors. Living room painting "Color Rain"
190x80x2cm An original in acrylic colors. 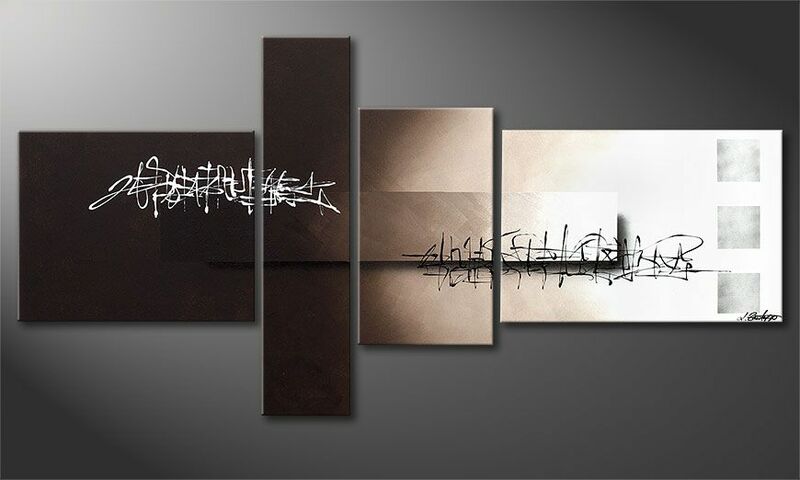 This wall picture Acrylic painting "Between Night & Day" 160x80cm is a hand painted, not an art print. It consists of 4 panels with a width of 160 cm (without spaces). The sides are painted in neutral grey. The painting is stretched on a wooden frame and is ready to hang. No additional frame is required. Luise Zantopp's original name is Antje Rose. She is a co-founder and one of the heads of Paintings XXL. Luise Zantopp was her great grandmother's original name that she adopted as a sign of respect; thus ensuring that its legacy continues through her activities as an artist. She utilizes a wide variety of painting techniques she has acquired over the course of time through her eagerness to experiment and hard exercise. Her major stength is having an eye for every small detail with which she refines all of her paintings to the point of perfection. Natural and city motives belong to her most valued work and have acquired an immense popularity among our customers.